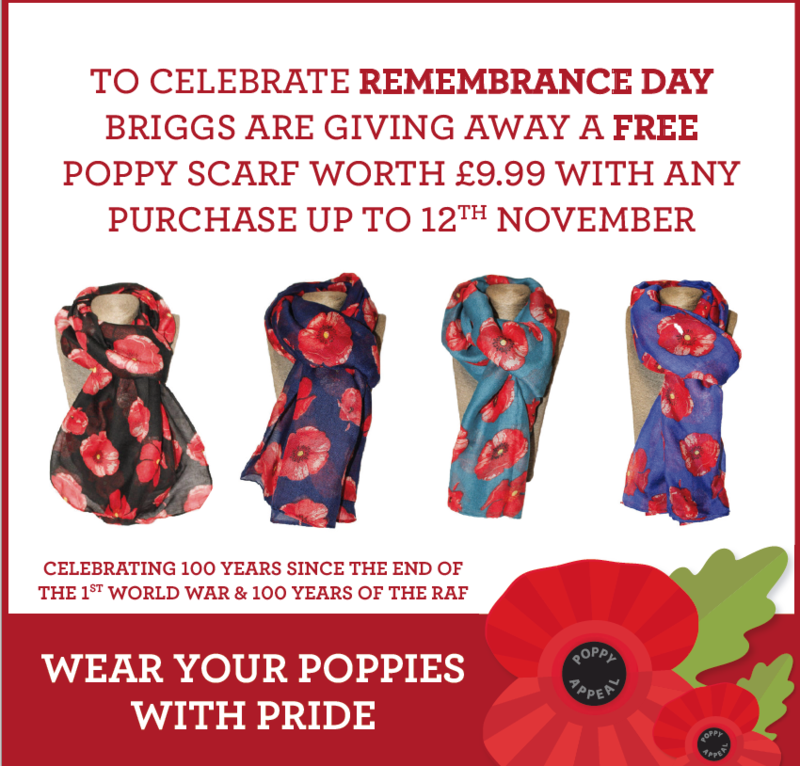 To celebrate Remembrance Day we’ll be giving away a free poppy scarf worth £9.99 with every purchase made in store at Briggs of Morecambe. We’ll be running this offer right up until the 12th November. 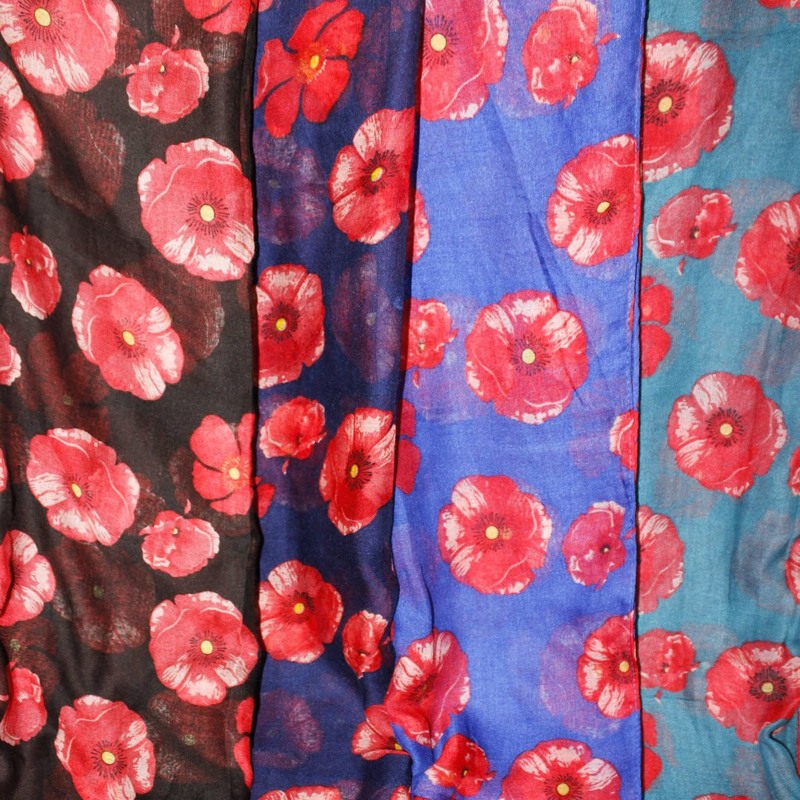 We have a range of styles and colours available in store to choose from, or alternatively you can purchase a poppy scarf at £9.99. Giant poppies are also in available to purchase in store at £4.99 with all proceeds going to the Royal British Legion. 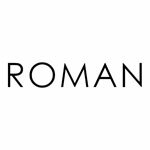 Don’t forget Briggs of Morecambe, stock a range of different brands including, Rieker, Jana, Remonte, Earth Spirit and Skechers, as well as clothes from our classic collection, Vintage and Roman ranges.